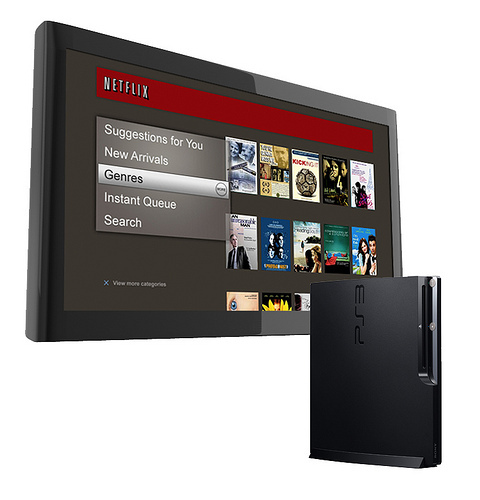 It was a good day to be a Playstation 3 user in the UK and Ireland, that’s because users of that particular gaming system woke up this morning to find the Netflix App among the consoles many TV and video services. While users were hoping to eventually receive the product it was an unexpected treat since the company which has launched in the U.S., Canada and Latin America still hasn’t announced an official UK and Ireland launch date. While the application is not yet operation it does display the “coming soon” message which has excited many users who are now able to register for an email update notification for when the service launched. Once launched the company will join a long list of TV and Movie providers in the country that already include FilmFlex, Amazon’s LoveFilm and even YouTube. In an attempt to foil the Netflix celebration from PS3 users Amazon’s LoveFilm project announced new partnerships on Friday with both iTV and the BBC. Amazon also recently signed agreements with Sony and Warner. Not too far behind Amazon is Netflix with a newly signed BBC deal in place and various extended agreements with US partners that include Lionsgate, MGM and Miramax among others.